This is a foreign exchange guide to Brazil, the Brazilian Real currency plus BRL transfers and travel tips. Brazilian Real exchange rates - latest & historic exchange rates. What is the Brazilian Real currency code and symbol? The three letter currency code for the Brazilian Real is BRL and the symbol is R$. It is the domestic currency in Brazil. Trading in Brazil’s real contributes to around 1% of the foreign exchange market daily turnover. The real is subdivided into 100 centavos. The value of Brazil’s real is heavily influenced by commodities prices, given that the country’s top exports include iron ore, crude oil and the ‘soft’ commodities, especially soybeans. As an emerging market currency, the real is considered riskier than currencies from major developed nations, which means that its value will fall against those currencies (especially JPY, USD, CHF, GBP and EUR) during periods of economic uncertainty or when global geopolitical risk is elevated, or during bouts of high market volatility. Since the year 2000, the real’s highest valuation against the US dollar occurred in July 2011 when the exchange rate for USD/BRL fell to just 1.531. Its lowest value came in September 2015, when USD/BRL reached 4.248 following a plunge in commodities prices. The interactive chart below shows the USD to BRL exchange rate for the previous 3 months with rate alerts for days when the exchange rate moved up or down significantly or for 30 day highs and lows. The world's fifth-largest country commandeers the lion's share of South America, all the way from the Amazon Basin – the world's largest tropical rainforest – to the pampas of southernmost Rio Grande do Sul, delivering 7500kms of sun-toasted sands in between. 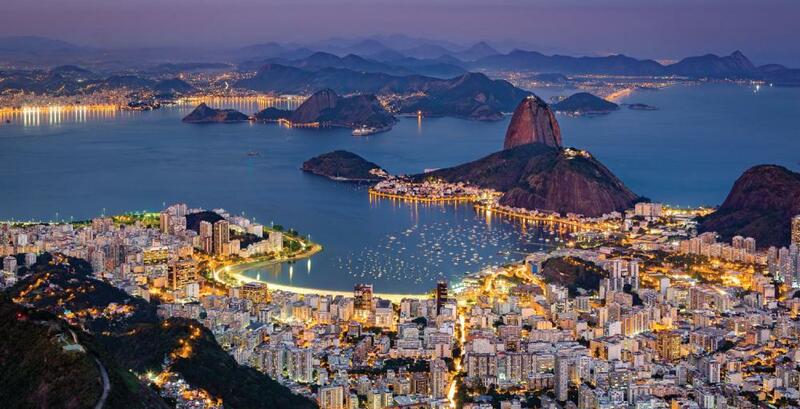 A visit to Brazil usually begins in Rio de Janeiro, one of the world's most vibrant urban landscapes, where dramatic, rainforest-crowned mountaintops surround a city nestled picturesquely between jungle and sea. The Amazon region – and its namesake river – are home to the planet's greatest collection of plants and animals, and this enigmatic landscape has long intrigued explorers, naturalists, novelists and travelers alike. What currency to use in Brazil? Brazil is generally the most expensive country in South America so keep that in mind when deciding how much cash to carry on you. Brazil's currency unit is the real (plural = reais) and is made up of 100 centavos. its best to carry nothing larger than 10 or 20 reais bank notes. This will make it easier to make small purchases as well as easier for small vendors, stores and restaurants to provide you with change. Using a credit or debit card can be an ideal way to avoid carrying more cash than you require for just incidental expenses. Most hotels, restaurants and stores in Brazil readily accept Visa and Mastercard. If possible choose a credit card which doesn't charge for currency conversion to save money on international transaction fees when travelling through South America, as most most issuing banks will charge a foreign transaction fee of from 2 to 3% and may have additional fees. In Brazil, as with most countries in South America it is often a good idea to travel with a combination of currencies to have along with your credit card. Sometimes foreign cards may not be accepted at ATMs and often cash is the only way to pay so have some local currency and some US dollars on hand as well as you can generally pay with USD everywhere. However in some cases the only ATMs that give USD are at airports and major banks. Small towns may not have ATMs at all. Travelling with a Prepaid Travel Card can make life easier. Make a point to check your bank account for strange withdrawals as cards get skinned fairly often. Be sure to have travel insurance when traveling in South America, you could consider choosing a credit card that comes with complimentary travel insurance. Brazil has some of the worlds most famous waterfalls. Because of the great distances in Brazil, the occasional flight can be a necessity, and may not cost much more than a long-haul bus journey. If you intend to take more than just a couple of flights, a Brazil Airpass will probably save you money. Book ahead if traveling during busy travel times – from Christmas to Carnaval, around Easter, and July and August. A Brazil Airpass is a good investment if you’re planning on covering a lot of ground in 30 days or less. Brazil's major cities have excellent metro systems, with Rio’s system being expanded for the 2016 Olympic Games. Otherwise the local buses are decent and fairly priced and can be a good way to get to know a city. Outside of Rio rail travel is all but non existent in Brazil so you will have to rely on either airlines or intercity buses. All major cities are linked by frequent buses – one leaves every 15 minutes from Rio to São Paulo during peak hours – and there is a surprising number of long-distance buses. Every big city, and most small ones, has at least one main long-distance bus station, known as a rodoviária (pronounced ho-do-vi-ah-ree-ya). The Amazon region is one of the last great bastions of passenger river travel in the world. Rivers still perform the function of highways throughout much of Amazonia, with vessels of many shapes and sizes putt-putting up and down every river and creek that has anyone living near it. Brazil is the largest country in South America and home to some of the world’s most metropolitan cities, but this is just the beginning. The world famous Carnival takes place every year where millions dance, samba, and party the days away. Wildlife fans will enjoy exploring the wetlands of the Pantanal and the Amazon rainforest, while those who enjoy colonial architecture and historic cities will revel in the chance to visit Salvador. A large number of tourists arrive in Brazil thinking they can get by on Spanish, yet it is important to remember that Portuguese is the official language of the country and more people learn English than Spanish due to its necessity in the business world. It’s automatically assumed that South America is a cheap place to travel, and generally that is a fair assumption. However, the major cities in Brazil such as São Paulo and Rio de Janeiro can actually be very expensive, especially in wealthy neighborhoods such as Ipanema and Leblon that also happen to be the most popular tourist areas. 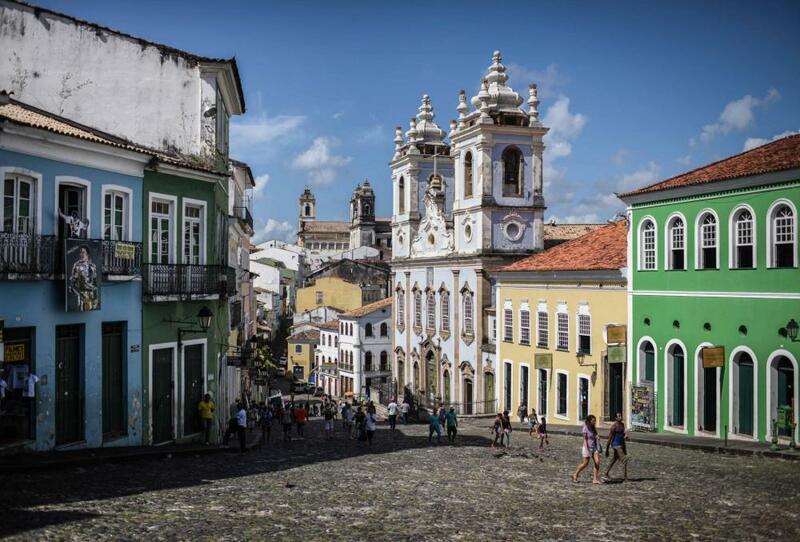 The colonial towns of Brazil. Save money and time by Ordering your Brazilian Real online from Travelex, you get better rates and can pick up the BRL cash locally or even on travel day at the airport. For card purchases if offered a choice of currencies always select to Pay in Brazilian Real otherwise you may get much worst exchange rates. Compare BRL travel cash rates - probably why you are here! When searching around for information on how to get a good exchange rate when sending money to Brazil you need to start with finding out the latest Brazilian Real foreign-transfer exchange rate. Once your funds are received by the provider the converted BRL amount will be transfered to the recipient account you specify in Brazil. Use our Send to BRL calculator to compare the exchange rates of FX specialist providers rates versus your bank's standard rates you can hopefully save around 5% and maybe more - end result is more Brazilian Real deposited into the recipient bank account and less margins and fees kept by the banks!